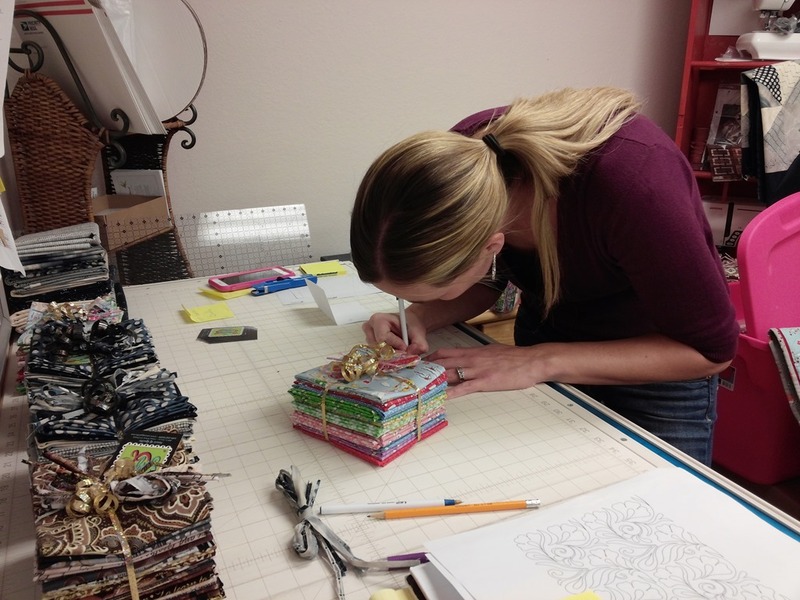 Suzie Q Quilts has been a busy place lately as we have been getting ready to go to Festival at the Houston International Quilt Market. 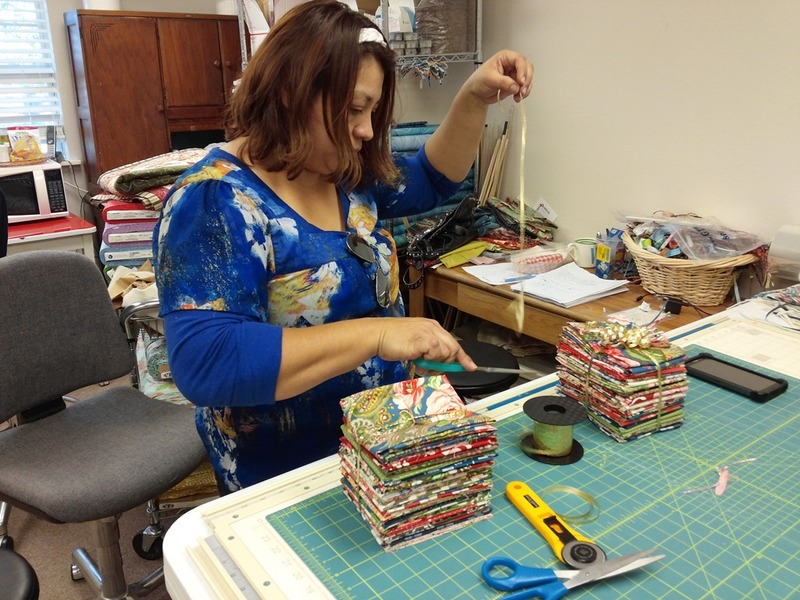 Ginger and Adriana are cutting and wrapping fat quarter collections. 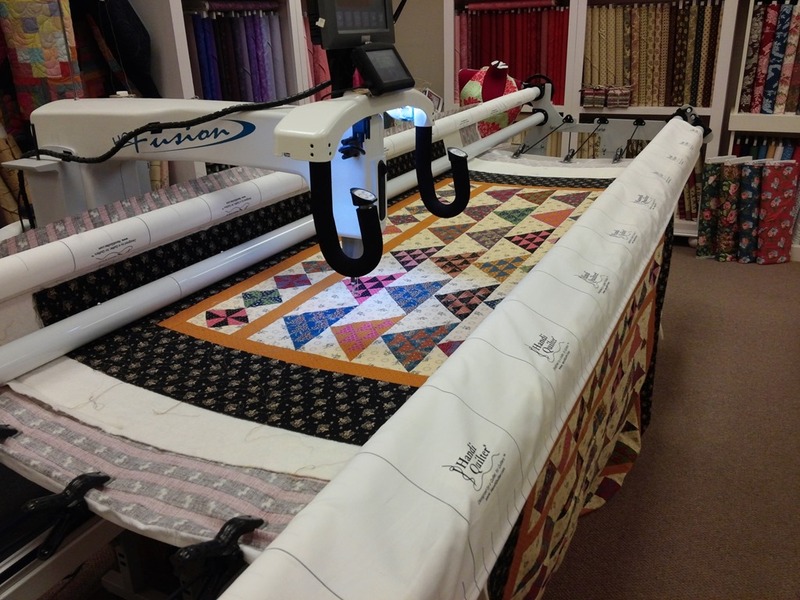 Deborah, Sue and Lori have been sewing day and night to get sample quilts finished for our SQangles booth at market. The SQangles really are a Super Quick way to do Half Square Triangles! 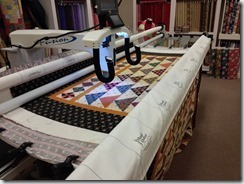 Candyce has even pulled in Belinda and her mother to fill packages of SQangles and our newest product, Stitch N Flip. We’re hoping to see you there! 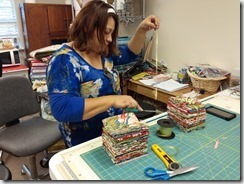 Ginger is working on fat quarter bundles also. 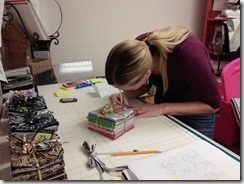 Determining the SQangle Size to Use Tell Your Favorite Shop Owner!